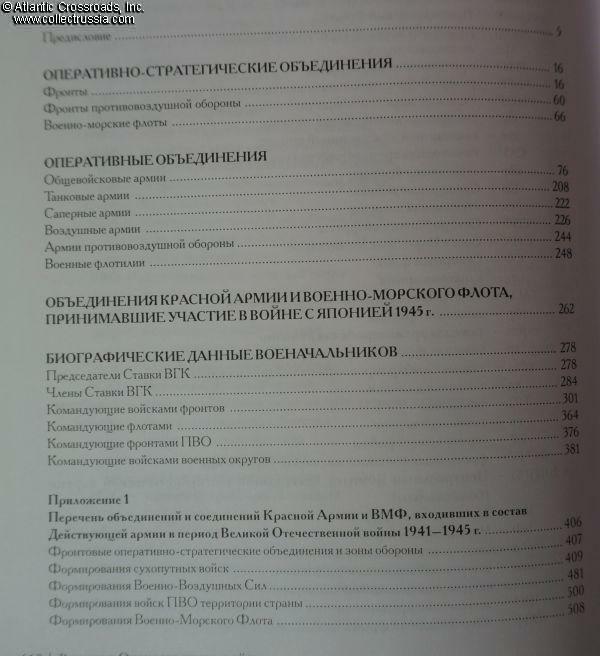 Soviet WW2 Order of Battle, titled "Active Army, Great Patriotic" Nikiforov, Fesenko, Andronnikov et al. 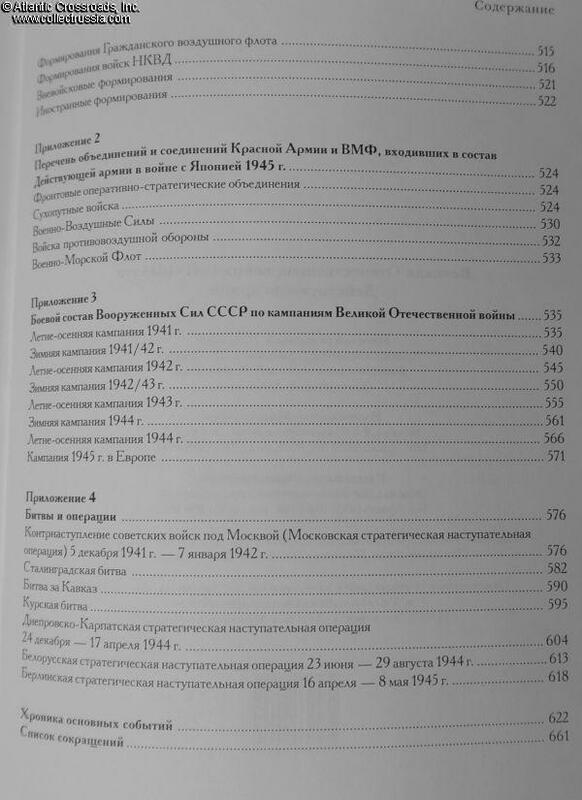 Soviet WW2 Order of Battle, titled "Active Army, Great Patriotic" Nikiforov, Fesenko, Andronnikov et al. C. 2005, Moscow. 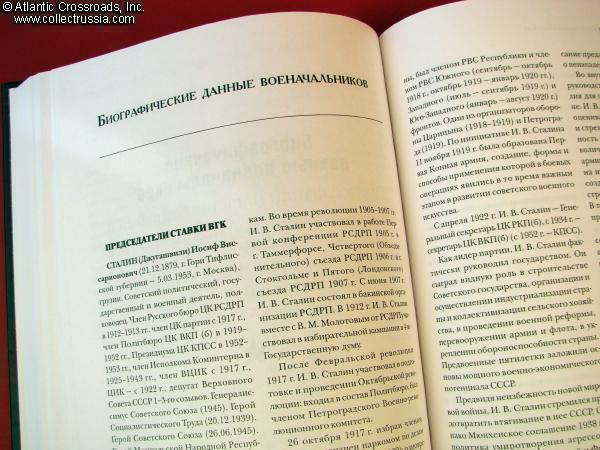 Russian text, hard cover, 663 pp., format 9½" x 6¾" x 1½". Part of the 4-volume "Great Patriotic" series. 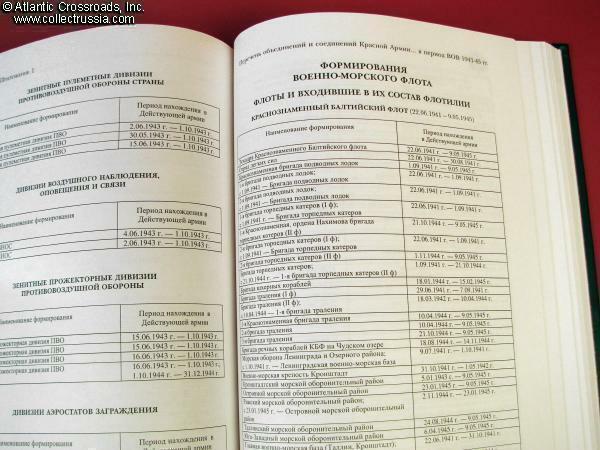 An extraordinary reference on Soviet Army and Navy order of battle, the most comprehensive yet published on larger units. 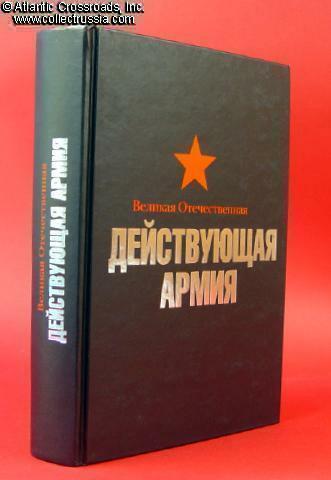 Includes history of all WW2 Soviet Fronts (Army Groups), Antiaircraft Fronts, Naval Fleets and Flotillas, Armies, Tank Armies and Air Armies. A large part of the book is dedicated to extensive biographies of all commanders of the Fronts, Fleets and Military Districts. No illustrations. The title "Active Army, Great Patriotic" actually refers to "Front Line Troops"; the scope of the book is much broader than the title would suggest, as it also covers the Navy Fleets and Air Forces. 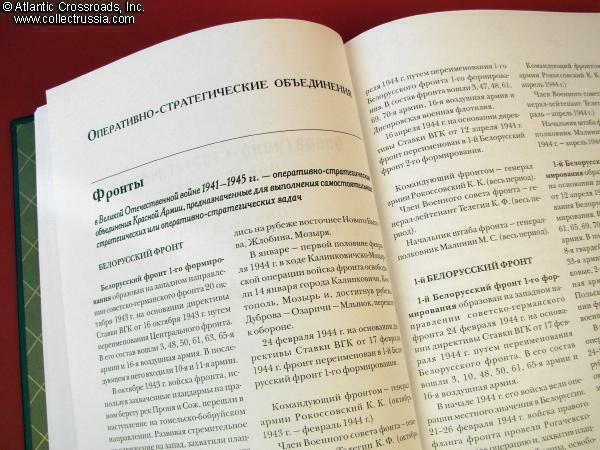 Likewise, the timeframe goes beyond the conflict with Germany: a separate chapter is dedicated to all the large formations which took part in the August 1945 campaign against Japan. 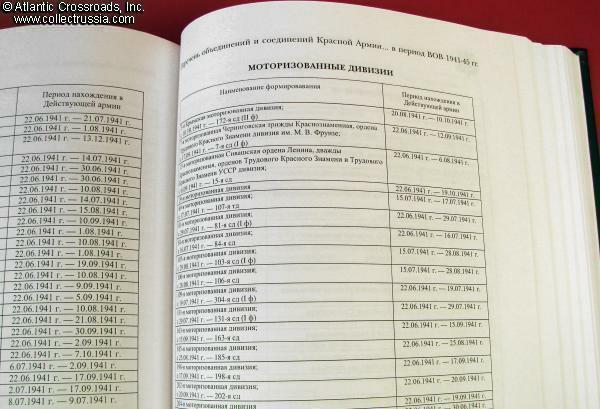 In the addendum, there is a convenient table of chronology of the Fronts, showing all transitions and name changes. There is also a list of every unit from Army through Corps and further, down to Division level with precise dates of frontline deployment. 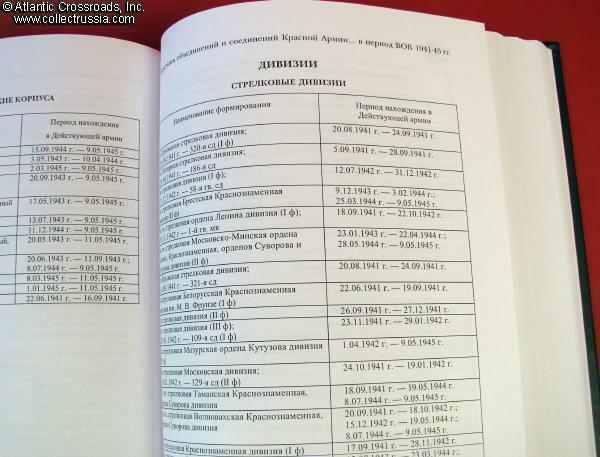 Among additional features are tables of numerical and material strength of each front at various points in all major battles, Soviet vs German strength comparison tables, and much more. All-in-all, this book is a fascinating reference, a true must for a serious WW2 history researcher or military history buff.